“Kon-Tiki” (2012). Cast: Pål Svere Hagen, Anders Baasmo Christiansen, Tobias Santelmann, Gustaf Skarsgård, Odd-Magnus Williamson, Jakob Oftebro, Agnes Kittelsen, Peter Wight, Manuel Cauchi, Kasper Ameberg Johnsen, Edward Kling. Directors: Joachim Rønning and Espen Sandberg. Screenplay: Petter Skavlan. Web site. Trailer. Norwegian-born ethnologist Thor Heyerdahl (Pål Svere Hagen) had always been a risk-taker. Even as a young boy (Kasper Ameberg Johnsen), he took chances that the other children considered foolhardy (assessments that sometimes proved correct, too). But such criticisms never quashed Thor’s sense of adventure, a quality that would come to define him in his adult life. In 1937, Heyerdahl and his young bride, Liv (Agnes Kittelsen), traveled to Fatu Hiva in the Marquesas Islands of the South Pacific. There he studied the local culture, with a particular emphasis on the history and origins of the residents. During the course of his research, he made a number of remarkable discoveries that set conventional anthropological thinking on its ear, most notably the idea that the islands very likely could have been colonized by transplants from South America, and not from Asia, as had been widely thought. Local folklore, religious icons and plant life all had striking attributes linking them to Peru and the culture of the Incas, all in stark contrast to what Heyerdahl’s contemporaries staunchly maintained. But the predominant wisdom didn’t keep Thor from daring to think the unthinkable; in fact, it only made him more determined to find a way to prove his theory. Most ethnologists at the time believed that it would have been impossible for South Americans to settle Polynesia, mainly because the prevailing Pacific Ocean currents would not have been conducive for seafarers attempting to sail from East to West, and this supposition formed the basis for the Asia settlement theory. However, Heyerdahl believed it would have been feasible for South American explorers to make the journey by floating across the ocean on balsawood rafts. Such a trip would have taken some time, but Heyerdahl contended it was not outside the realm of possibility. After leaving Fatu Hiva, Thor traveled to America to make the case for his hypothesis. He sought funds for an expedition that would replicate the ancients’ seafaring ways to prove his point. But Heyerdahl had no takers, even from organizations as adventurous as the National Geographic Society. Finding a crew was difficult, too, as most candidates saw the proposal as suicidal, especially since it was to be headed by a leader who had a fear of water and couldn’t swim. Heyerdahl held firm, however, eventually finding the means to launch his project. He committed to the adventure, despite the risks, criticisms and high personal costs to his marriage. Not long thereafter, Thor traveled to Peru to embark on the voyage of the Kon-Tiki, the raft that he would sail across the Pacific. His vessel, named for a Peruvian sun god, was built according to ancient specifications, with his only concession to modern technology being a radio, which was not intended for rescue purposes but for informing the outside world of his expedition’s progress. With the support of Peruvian President José Bustamante (Manuel Cauchi) and the supply arm of the U.S. military, Heyerdahl got his mission under way. He assembled a crew that included his longtime friend and navigator Erik Hesselberg (Odd-Magnus Williamson), radio operators Knut Haugland (Tobias Santelmann) and Torstein Raaby (Jakob Oftebro), engineer Herman Watzinger (Anders Baasmo Christiansen), and ethnologist and cameraman Bengt Danielsson (Gustaf Skarsgård), all of whom were Norwegian except for Danielsson, a Swede. Amid much fanfare, the Kon-Tiki launched from the west coast of Peru in April 1947. The whole world watched in wonder as the crew embarked on its epic journey. But, even with thorough planning and the best of intentions, Heyerdahl and company soon found that they were in for far more than they had bargained. Their odyssey was fraught with dangers and challenges that repeatedly tested the crew’s resolve and even threatened their very survival. Would the intrepid adventurers succeed, or were they destined to fail? Only time, and the ocean’s currents, would tell. Those who boldly embrace the practice of conscious creation see the philosophy for the adventure it truly can be. Exploring the myriad options for physical manifestation made possible through the deliberate manipulation of one’s consciousness can be quite an exhilarating, profound, thought-provoking experience, arguably one of the most invigorating possibilities open to those who plumb the various states of existence available to them. It can be so fulfilling, in fact, that author and conscious creation advocate Jane Roberts fittingly titled one of her books on the subject Adventures in Consciousness. Indeed, it’s an idea so potentially exciting that it’s enough to take one’s breath away, both literally and metaphorically. In many ways, Heyerdahl and his crew epitomized this concept, living it out to the fullest through their audacious exploits. Thor had no reservation about trying the untried, despite such seemingly inherent limitations as his inability to swim. His unwavering faith in his beliefs, the driving forces in the reality he created, kept him on the path (or, in his case, the current) that would transport him to his envisioned destination, again, both literally and metaphorically. Holding on to that faith was certainly challenging at times, however, given some of the obstacles that stood in the way of the Kon-Tiki crew achieving its objective. Unfavorable steering currents threatened to take the expedition far off course, perhaps even into the hazards of the menacing Galapagos Maelstrom. Waterlogging of the raft’s building materials endangered the craft’s seaworthiness, a problem made worse by rough seas and the battering inflicted by inclement weather. Relentless shark attacks placed the crew in frequent peril. And, if surviving all that weren’t enough, razor-sharp reefs near the journey’s end jeopardized the vessel’s hull, threatening to shred it to pieces just as Heyerdahl and the Kon-Tiki crew were about to realize their goal. But, in spite of such difficulties, Thor held firm to his beliefs, confident in his conviction that the voyage of the Kon-Tiki would succeed. 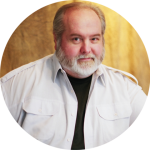 In large part this was due to his mastery of his fears, one of the factors that can significantly undercut the viability of the conscious creation process. The fervor he demonstrated in this regard often inspired, but sometimes frightened, his fellow sailors. In fact, his passion was at times almost seen as an obsession, one for which logic and reason were sacrificed on the altar of fixation. But, again, Thor knew he would triumph, and his commitment to that outcome carried him through the tough times. Whatever setbacks the crew encountered were ultimately blessings in disguise, parts of the plan for getting them to where they wanted to be. The Universe, as our partner in the conscious creation process, always provides, bringing us what we need to reach our destinations and fulfill our goals, even if we don’t always understand the logic behind its veiled, sometimes seemingly questionable manifestations. This is particularly true of those that fail to take the forms that we think they should. In carrying out its role as collaborator, the Universe simply asks us to state our intentions and then to get out of its way as it handles the fulfillment process, bringing us what we need to best realize the materialization of those intentions (even if we don’t always see it that way). In his own way, Heyerdahl understood this and let it serve as his guiding precept for how he conducted himself as leader of the expedition.  For their part, the crew was wise to trust his judgment on this matter, and anyone who longs to be an effective conscious creation practitioner should follow suit, too. This fictionalized re-creation of Heyerdahl’s journey does tremendous justice to the famous explorer’s odyssey and legacy. It’s a well-made action thriller that fills viewers with a great sense of adventure throughout. (Just wait until you see the shark attack sequences – easily some of the best presented on screen since the standard was set in Steven Spielberg’s “Jaws” (1975).) On top of that, the film features positively gorgeous cinematography and an inspiring, heroic soundtrack. The picture is currently playing in limited release, primarily in theatres specializing in foreign and independent cinema (though wider distribution may be in the offing), and an upcoming DVD release is scheduled for the near future. 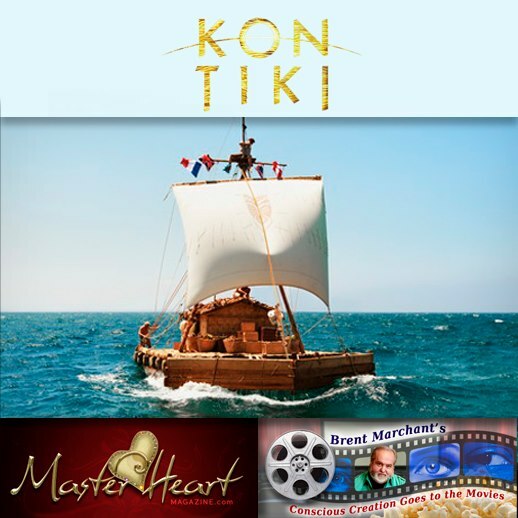 Like its documentary predecessor, “Kon-Tiki” won favor with Oscar voters, capturing a 2012 nomination as best foreign language film, an accomplishment duplicated in last year’s Golden Globe Awards competition as well. 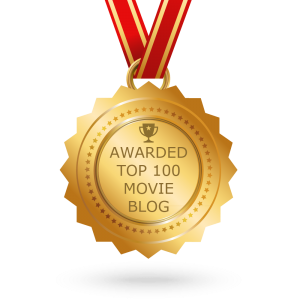 Viewers might be a little perplexed about the foreign language film nominations, however, given that North American audiences are being shown an English version of the picture. That’s because the movie’s producers were so sold on this film’s worldwide box office potential that they shot it twice, once in the filmmakers’ native Norwegian and once in English. That’s quite a testament to the faith that co-directors Joachim Rønning and Espen Sandberg placed in their production, but then such confidence shouldn’t come as any surprise; after all, look at whom their film is about. 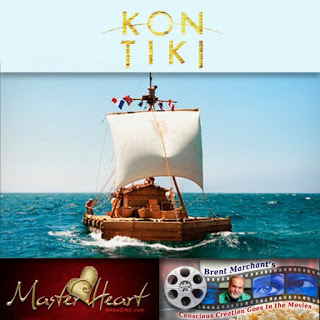 Heyerdahl’s adventure serves as a shining example of what’s possible when we allow ourselves to freely navigate the rich, creative waters of consciousness and manifestation, and “Kon-Tiki” shows us clearly how to get our feet wet. Prepare yourself for quite a thrill ride if you see this splendid offering. You never know what adventures of your own it just might inspire. Photo by Carl Christian Raabe, courtesy of The Weinstein Co.